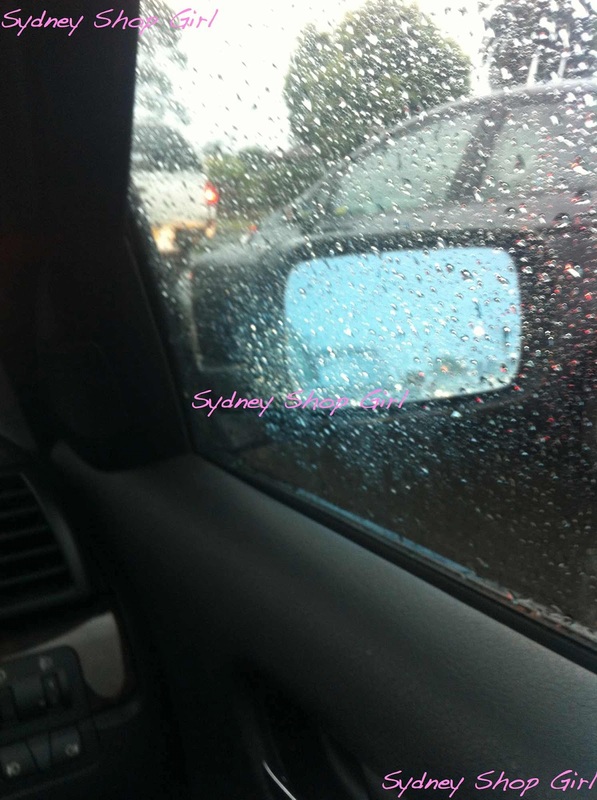 Sydney Shop Girl: George Deplanes Briefly In Sydney. Darker Afternoons. George Deplanes Briefly In Sydney. Darker Afternoons. Look who else was in Sydney doing the same? 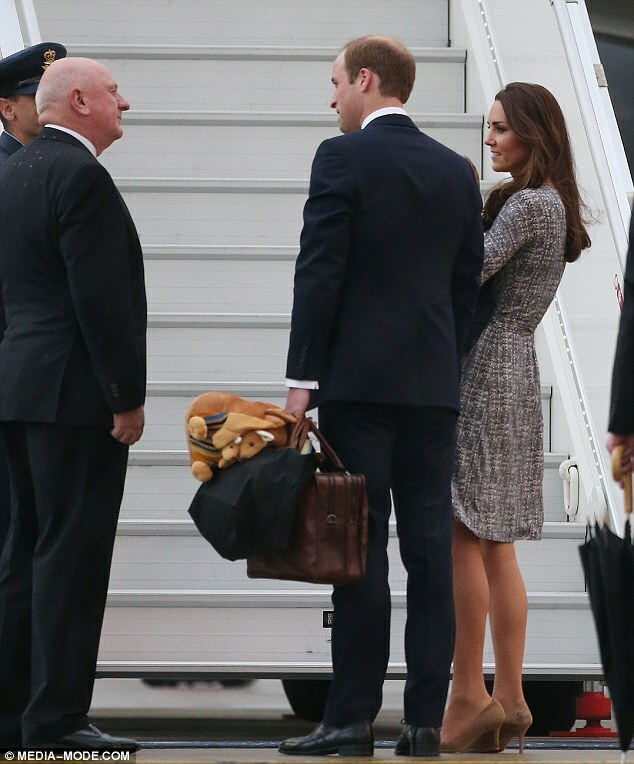 Prince George touched down in Sydney for a few minutes to stretch his chubby little legs and have a debrief with security, his chief holder upperer and his senior carrier of stuff before boarding an airforce plane bound for Wellington. Here's a shot of daddy carrying everyone's bags. 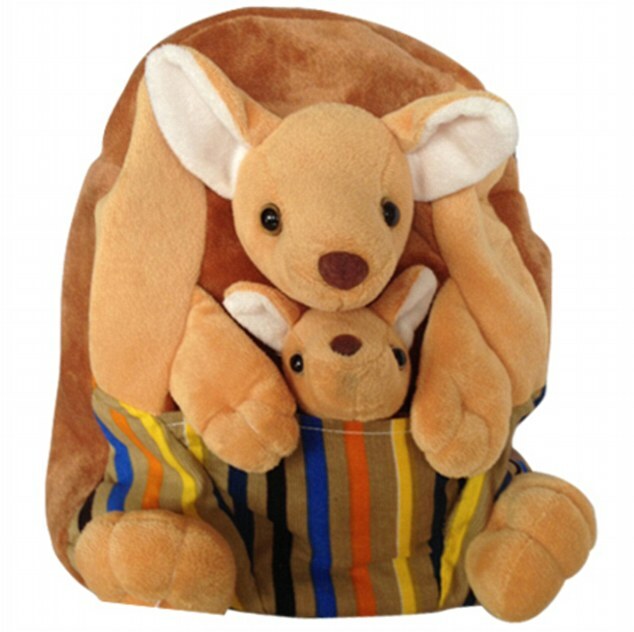 And an image from the supplier of George's kangaroo backpack. Several hours later, His Royal Cuteness deplaned looking as fresh as a daisy in a cream outfit with a little quiff in his hair that stood up to the drizzle that met him in New Zealand. It goes without saying that his mother, the Duchess of Cambridge looked just as immaculate. She's also made me feel the need to add a red coat dress to my wardrobe this season. I wonder who on the high street will be first off the ranks with their version? I'm also a big fan of the 'front facing one arm firmly around the waist the other acting as a seat' grip when it comes to infant carrying. It manages to be both a protective but also reassuring hold for the little one and a comfortable grip to maintain for the holder. You'd think I'd be used to the change in the weather as daylight saving ends after all of these years living in Sydney, but it still hits me with a dull thud every April. It always takes me a week or two to get used to how quickly it gets dark in the afternoon at this time of the year. In the early darkness, the traffic slows down even more in the peak hour than it does during daylight saving. Having survived the darker than usual drive home, turning the key at your front door is even more of a treat than usual. 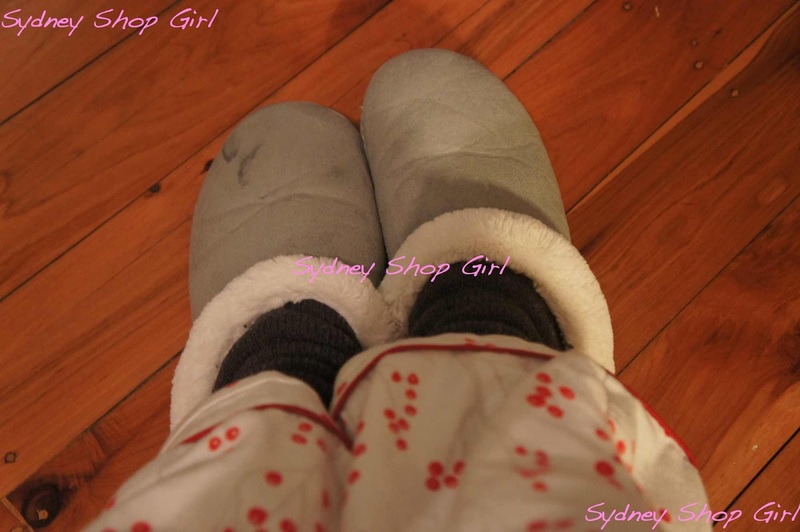 It's the best feeling in the world having a pair of thick socks and comfy slippers waiting for you as you unwind from the day. I'm feeling a batch or two of slow cooker soup coming on over the next few weeks. Better start looking for recipes now. I'm also a fan of Kate's baby hold, but I'm usually using it to take away a tantruming toddler! 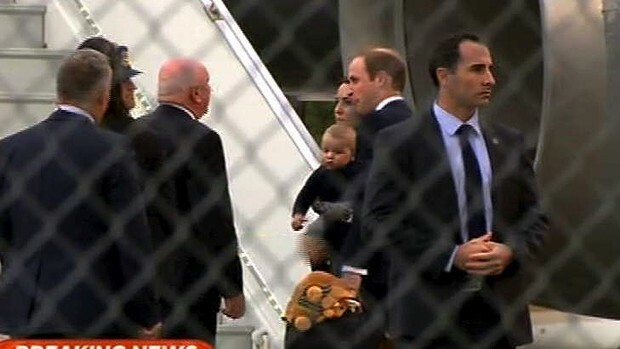 Doesn't William look all dapper in his suit carrying a briefcase and a kangaroo backpack! Bananas. A Japanese Stir Fry. Monochrome. The ANZAC Day Parade. Some Shopping. Mind Says Pack, Heart Says Procrastinate. The Girl In Oslo's Tag - 2014 Edition. Life In the Nearly Winter. What Will Kate Wear Next? Memory Lane. Going With the Post Daylight Saving Flow.